Now a day’s social media is one of the top ways of getting traffic on your website after Google search and most of people take this benefit too but they ignore that social media can also use get quality backlinks. Even most of people are not aware of how to get backlinks from social media. So today we will see what all the place from where we can get backlinking as well as huge traffic even without posting anything. Let’s start with most popular social media Facebook. Just tab to your profile option and open “Contact and basic info”. Once you open then you will get option to add website link under the WEBSITES AND SOCIAL LINKS. And result you can see in work and education option. By this way you will not only get Backlinking but also chance to get traffic from your profile visitor. 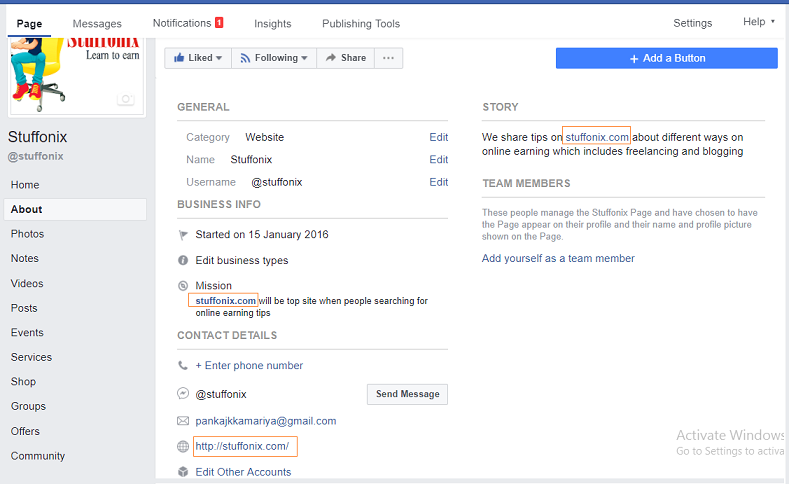 One more place you can use to get people on your website and that is “work and education” Here just select company as your Facebook page and in description add similar to detail about section. Now a days many people use Facebook page for branding purpose and this branding include branding of their business to them self. You can not only get huge traffic by sharing post to your follower but you will also get backlinking from same page. just adding your website name in ‘About’ section of Page. There are many place where you can mention your website name like Mission,contact detail, More info (About ) & story. 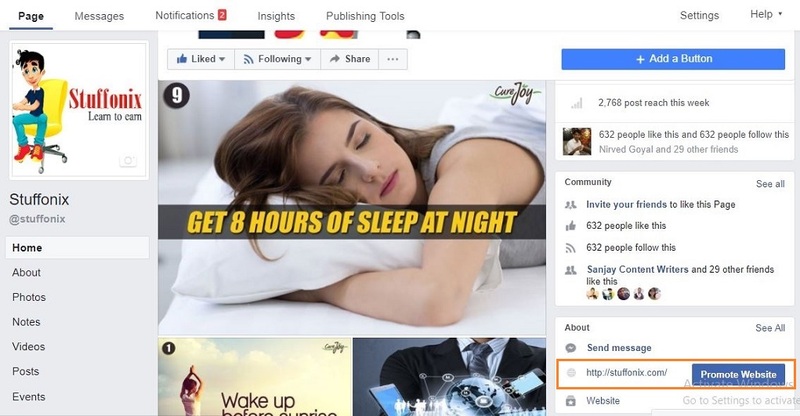 So by this way you will get traffic as well as 3-4 backlinking from Facebook Page. 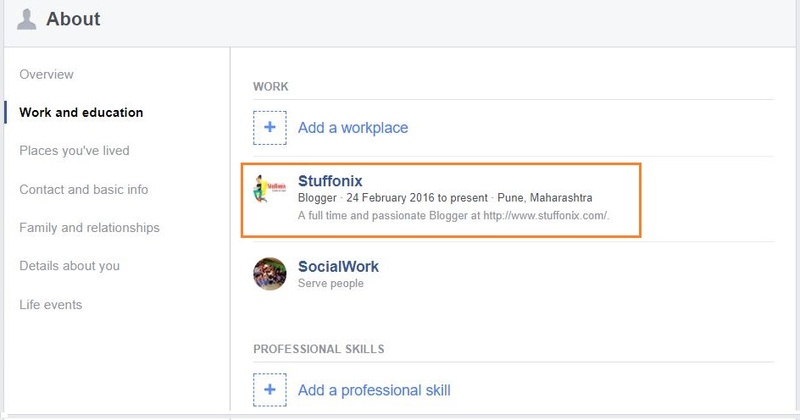 One more plus point of adding your website name is, whenever someone visit your page they can see your website in about section like. 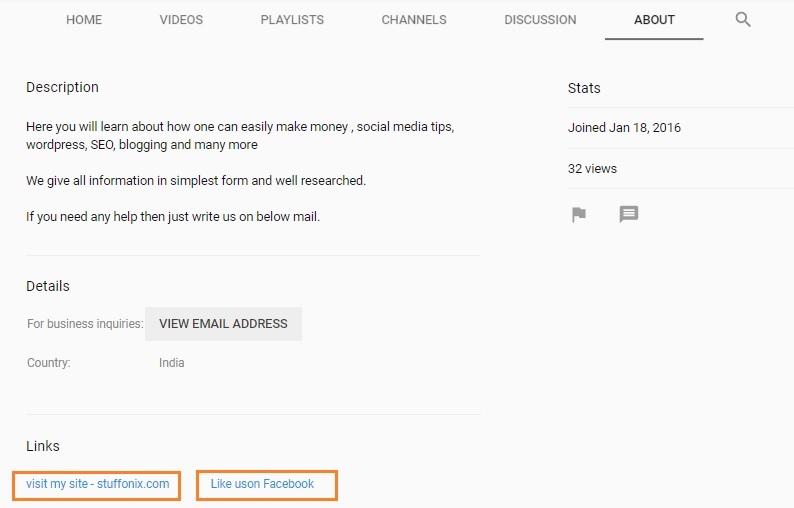 One important place which I did not find in most of pages but give most of conversion from page and we call that place “Call to action” button. Just click on Add a Button on your page and choose what action you are expecting from visitor. Still are 2 place where you will get backlinking from Facebook page and most of time we ignore them. So click on your profile image or cover image and Add description of your website like this. 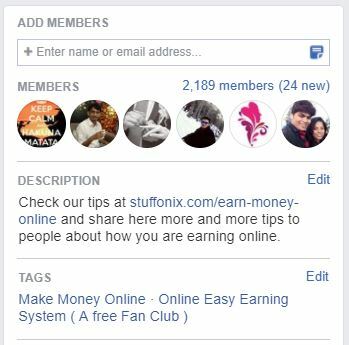 You can add description of your Facebook group and whenever new people added or someone visit your group then they can see your website in description and you will get a boost. 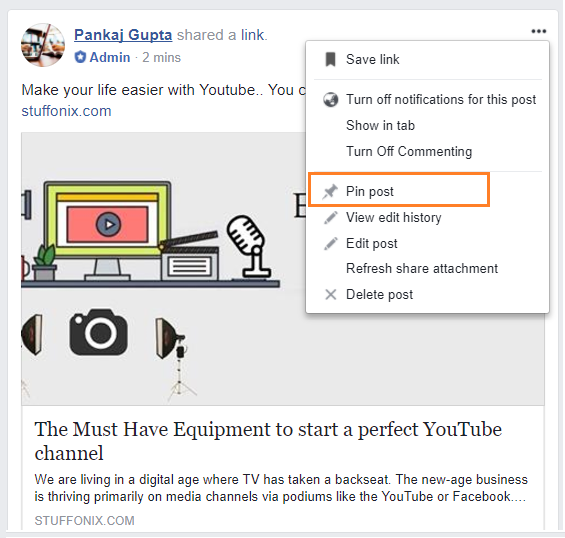 Second way of getting more traffic from Facebook page by pin post option, so any user who visit Facebook group will see your post first. Whenever someone visit your profile, then what do you think, what they are looking for? I think firstly they read Bio then read any think else…correct? Just click on Edit profile option and put information related your website. If you wan to give a dive into professional world then Linkedin is one of the best platform. 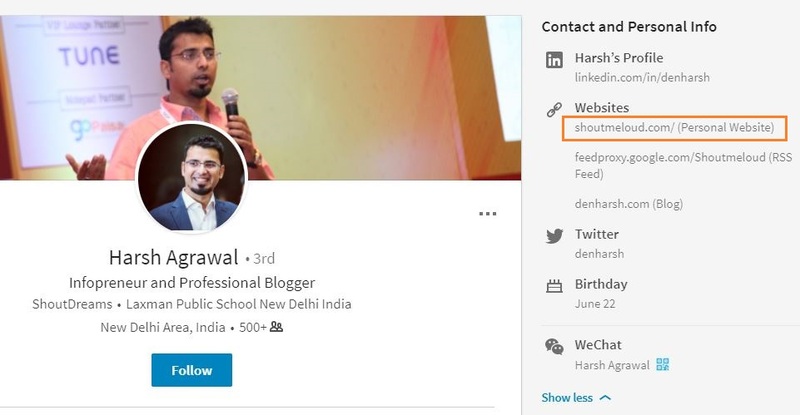 You can easily get professional freelancer, writer, designer and developer on Linkedin. So let’s move into our topic…Beside this all you can also get traffic as well backlinks also from linkedin. Just open your Linkedin profile and click on contact and personal information, where you need to update your website. 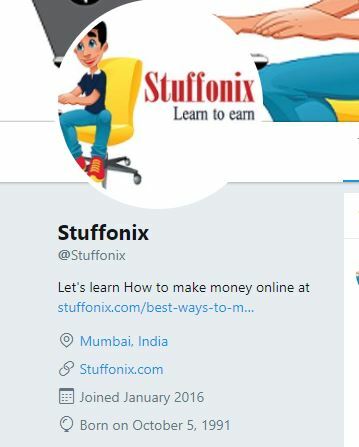 Once you add then it will show on your profile like below. Website link on your Linkedin profile will not only give you backlink but also boost your website with target traffic. Do you know Google earning approx 13% of their total revenue from YouTube only? So what do you think, Google Not giving any value to YouTube? Obviously Yes. So let’s take advantage of youtube in getting backlinks. You just need to open YouTube account then tap on About option and then select Edit layout to add information about your YouTube channel. So here you can also add your website name, Facebook page or twitter information. We will keep update this post so do visit whenever you want to get backlinks. 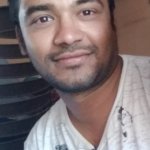 Hope you like this post and now easily can get traffic as well as high value backlinkng. If you know any other social media from where we can get backlinks then please write us in comment.